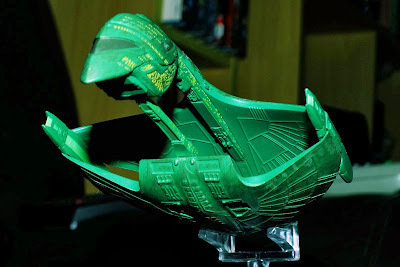 I've never been a great fan of this ship - I love the TV show, but never liked the design they went with for the main star of the show - the ship itself. This model is a faithful recreation, with the Defensive Shield Grid, Upper Sensor Palette, escape pods, and phaser arrays clearly visible and detailed. 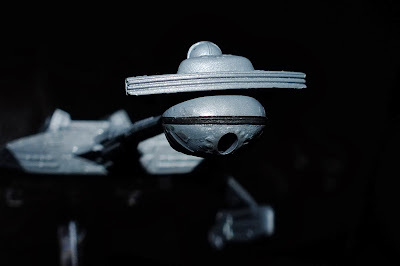 However, the finer detailing that was seen in issue 1's USS Enterprise NCC1701-D is absent again, not helped by what seems like an extra coating of paint which makes it look as if the real detail has been painted over. 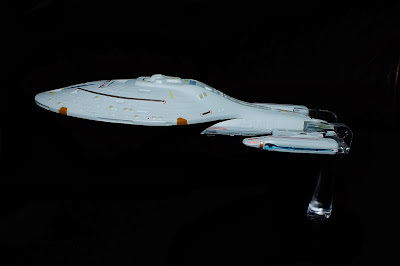 The other little niggle is the join between the main hull and the warp nacelles which is visible because of the assembly of the ship during production of the model. 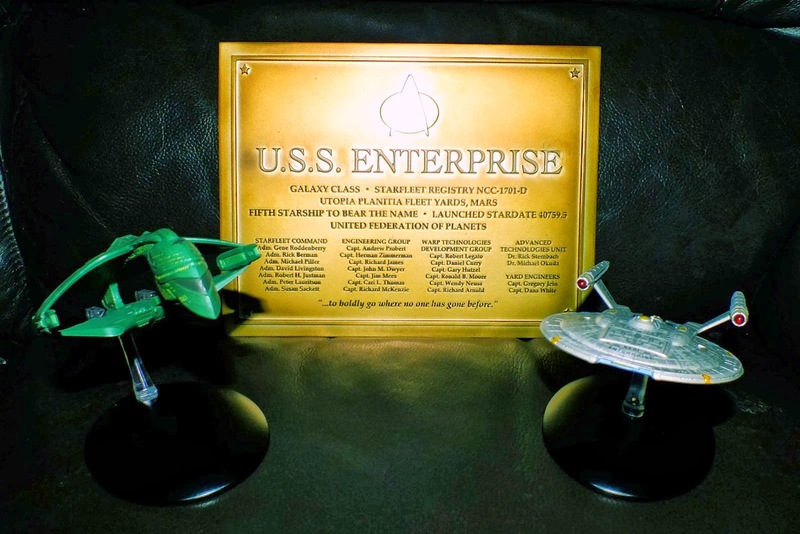 With all that said, it is a nice addition to the collection. As mentioned earlier, Voyager is not one of my favourite Starfleet vessels, but it's possible to get some good views using this model, and I still think it's worth the price. 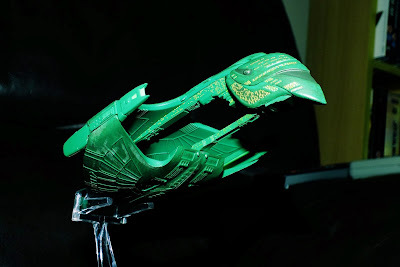 The Klingon K't'inga class battlecruiser is a great model, but unfortunately does have a few minor flaws as well which is a shame because I've been waiting for this model since the series started. 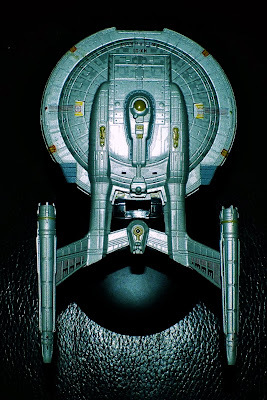 It's important to note that this model is based on the vessel seen in Star Trek - The Motion Picture, hence the lack of paint detailing as seen on the ship in Star Trek VI - The Undiscovered Country, and various episodes of Deep Space Nine. 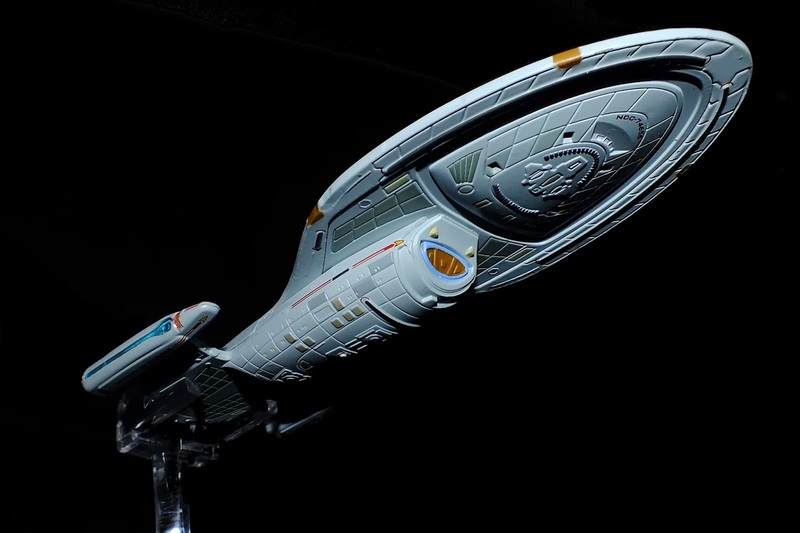 Hull detailing is good, albeit very grey, but because the neck of the ship is made from plastic, it does seem to bend a bit. 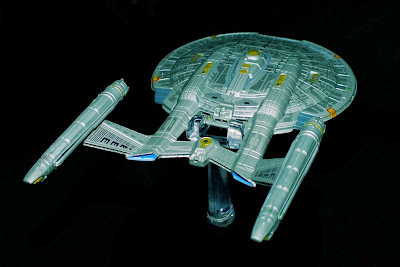 Fortunately my model isn't too bad, but I've seen some which have needed to be returned. 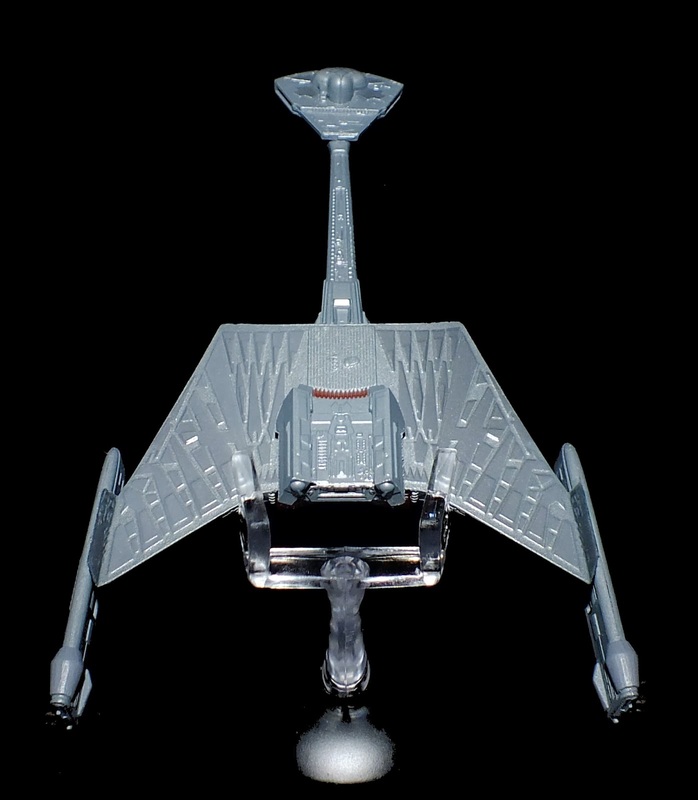 Again, the deflector grid is visible, along with forward and aft torpedo launchers. Detailing is good as long as you don't mind the lack of colour. Overall, an impressive recreation of one of my favourite starship designs. I'm really pleased with these models, but I do hope that Eaglemoss listens to their customers and start putting the extra attention to detail that made the Enterprise D so fantastic. 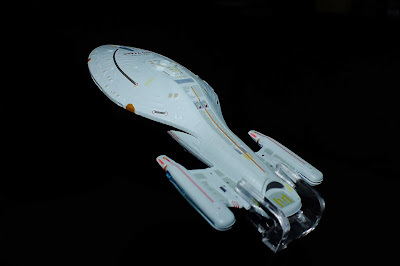 It's odd that the best model of the collection so far was the one that only cost £1.99! 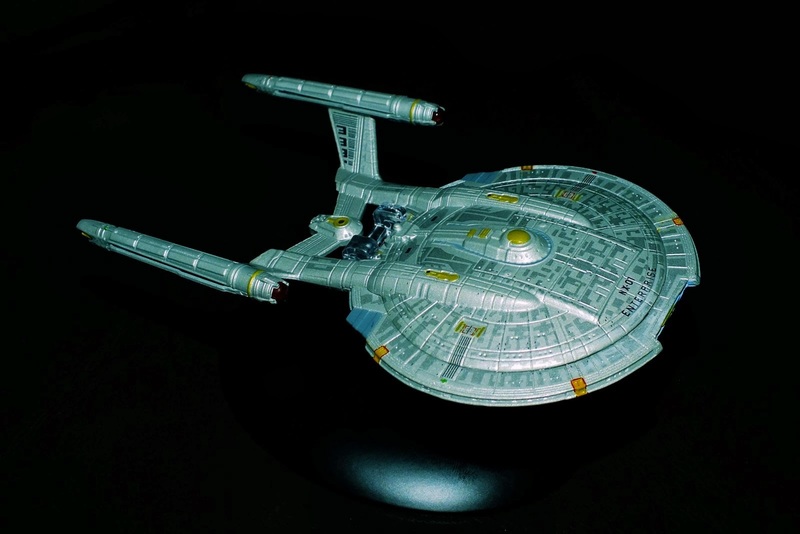 Roll on next month for Captain Sulu's USS Excelsior and the USS Defiant from Deep Space Nine. 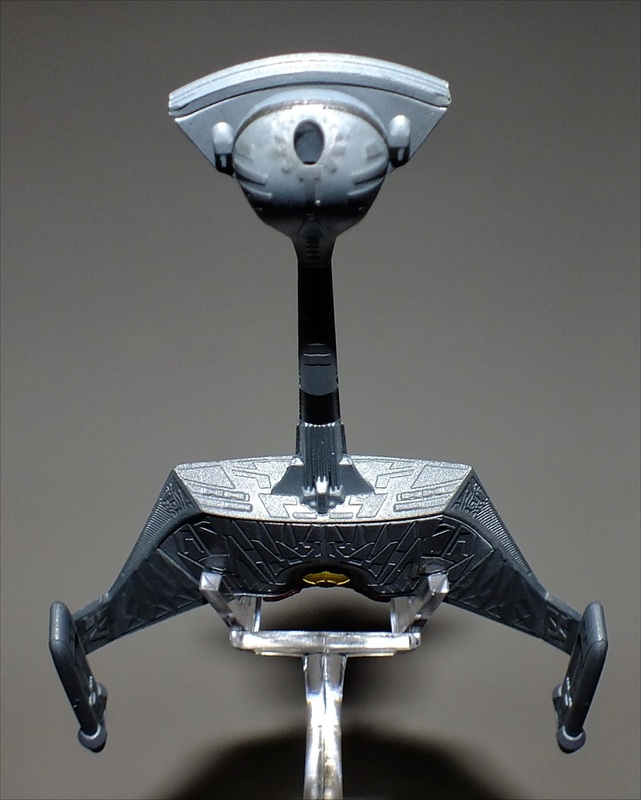 Word on the web is that the first special issue will also be available in the next few weeks - the Deep Space Nine space station. 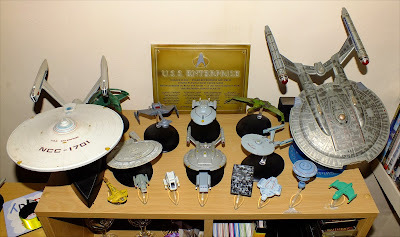 The fleet it getting bigger! I'm gonna need a bigger shelf. 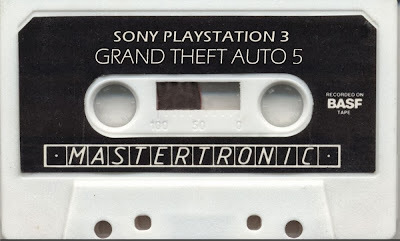 Mastertronic brings you "Grand Theft Auto 5" for £1.99, only for the Playstation 3, Commodore, Amstrad, Spectrum and Atari - Available from all good newsagents, chemists and game shops! It's always exciting when I get a phone call at work from the wife saying that my next Star Trek Starship Collection models have arrived. This time, it's the Enterprise NX-01 and Romulan D'deridex class Warbird. Say what you want about Star Trek Enterprise (especially the third season Xindi story arc), but I loved the show and was gutted when it was cancelled in 2005. 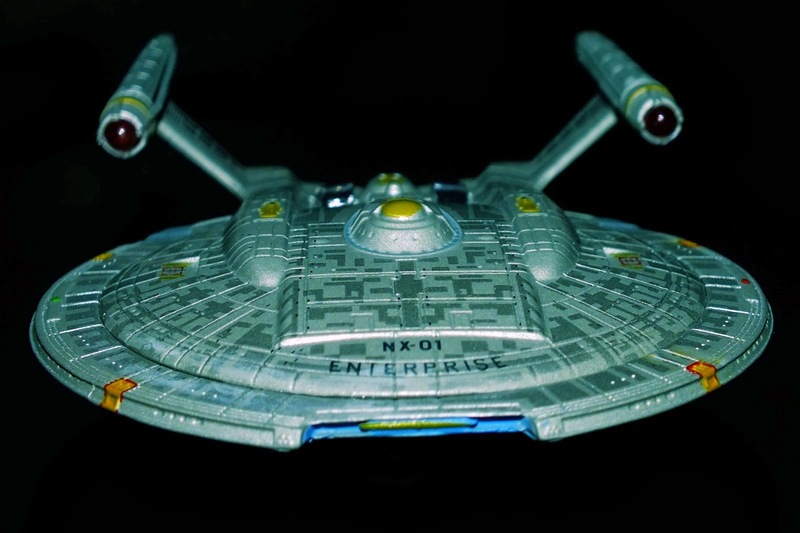 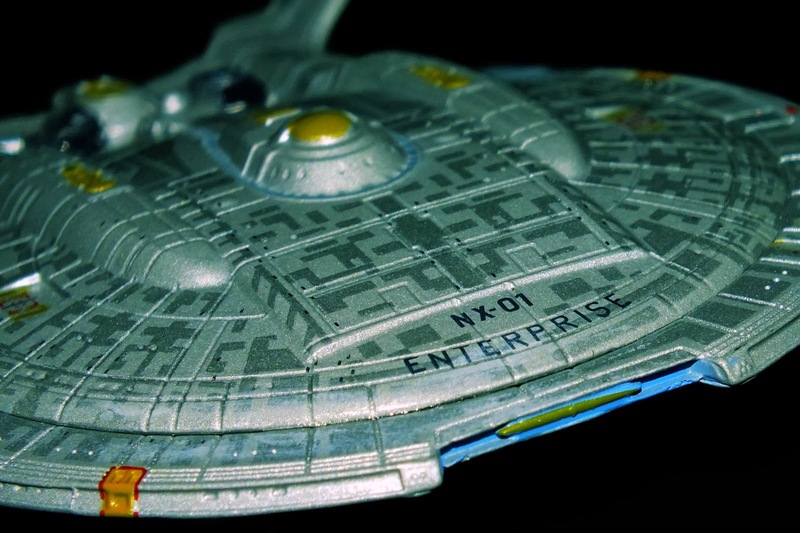 The Enterprise NX-01 was designed to look like a pre-original series starship (before the Federation was even formed), but to be instantly recognisable as a Starfleet vessel, and this model shows the fine detail that went in to designing this truly gorgeous ship, right down to the detailed hull plating. After the slightly disappointing issue 2 Enterprise refit, I was pleased that issue 3's Klingon Bird of Prey was back to the standard of issue 1, and now that issue 4 and 5 are here, the amazing quality of the models has returned, and my faith in the collection has been restored. 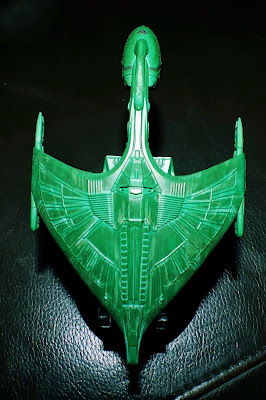 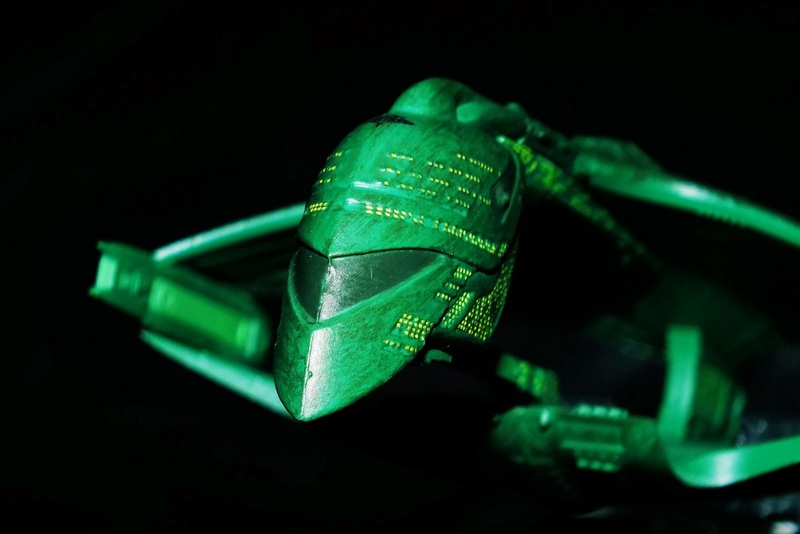 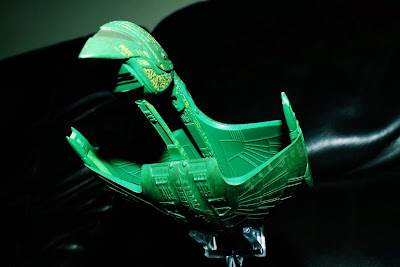 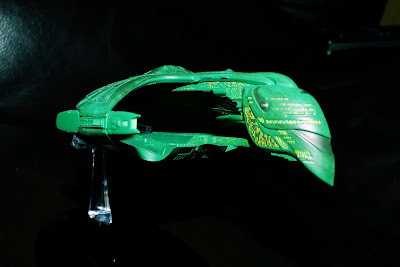 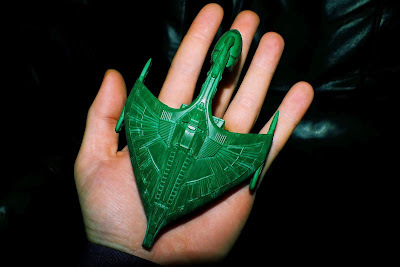 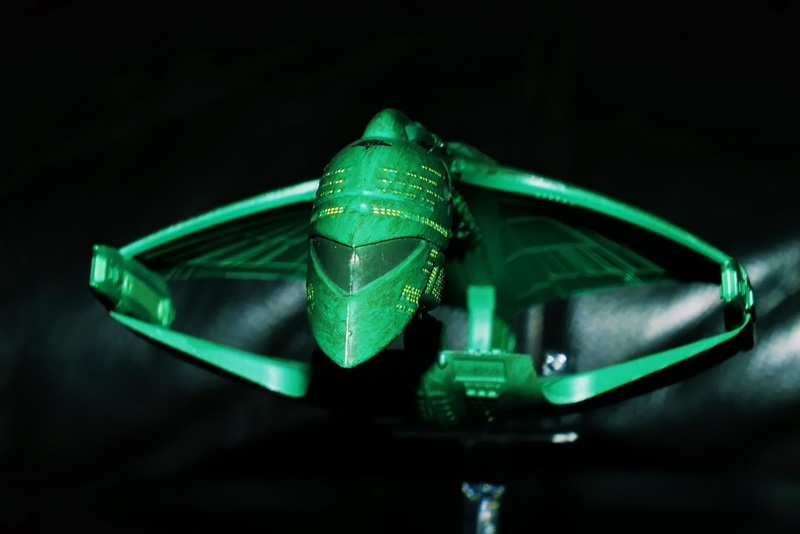 The Romulan Warbird was never one of my favourites. 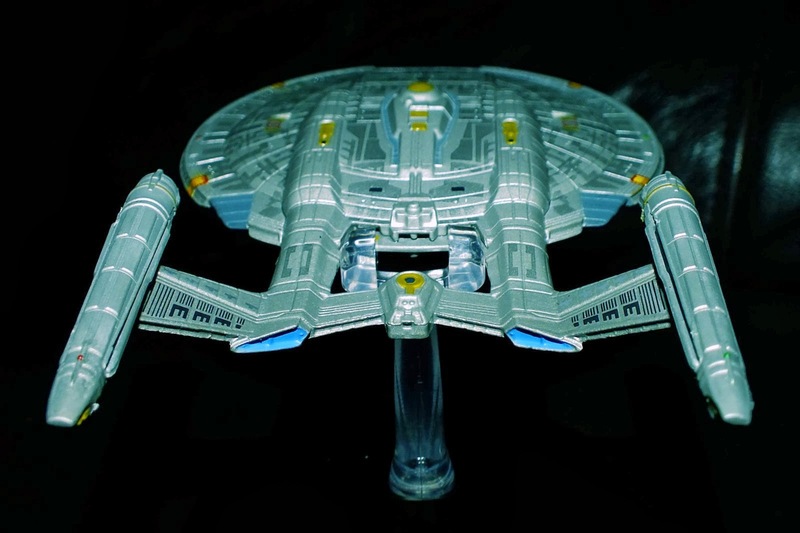 Maybe this was due to the limited views of the ship in the early episodes of Star Trek The Next Generation. But as special effects got better and the VFX people were able to do more with the model during the space battle scenes in Star Trek Deep Space Nice, I've come to appreciate the design much more now, and the model is quite a nice ship, showing plenty of detail (in particular the windows on the main "head" or primary forward hull section). My only criticism with this model is the stand which the ship fits in to. It isn't the most secure out of the current 5 ships, and Warbird is prone to falling off if you have not pushed it in hard enough. 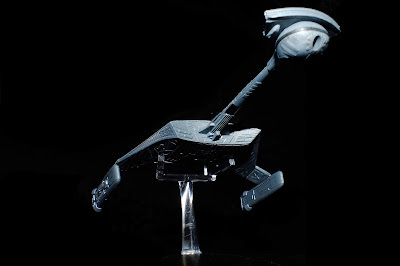 The problem is, by pushing it in, I feel like I'm either going to break the ship, or break the plastic clips that hold the ship to the stand. "Your presence is not wanted. 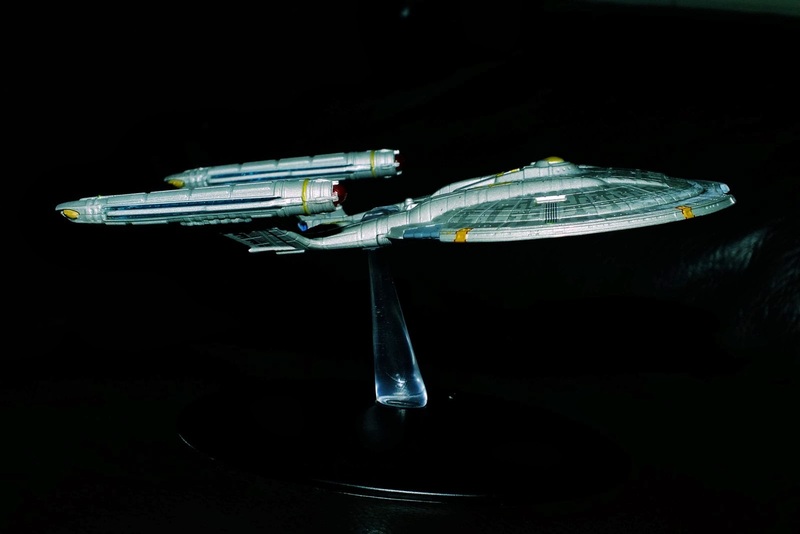 Do you understand my meaning, Captain? 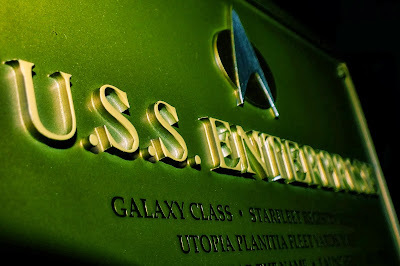 We... are back!" 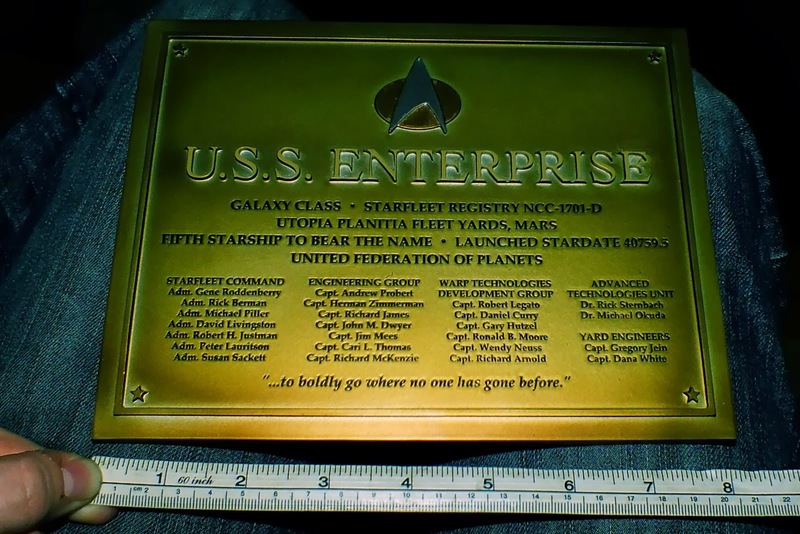 As a subscriber, I was also lucky enough to receive my first free gift (apparently worth £20) - A USS Enterprise NCC-1701-D dedication plaque, as seen on the Bridge of the starship. 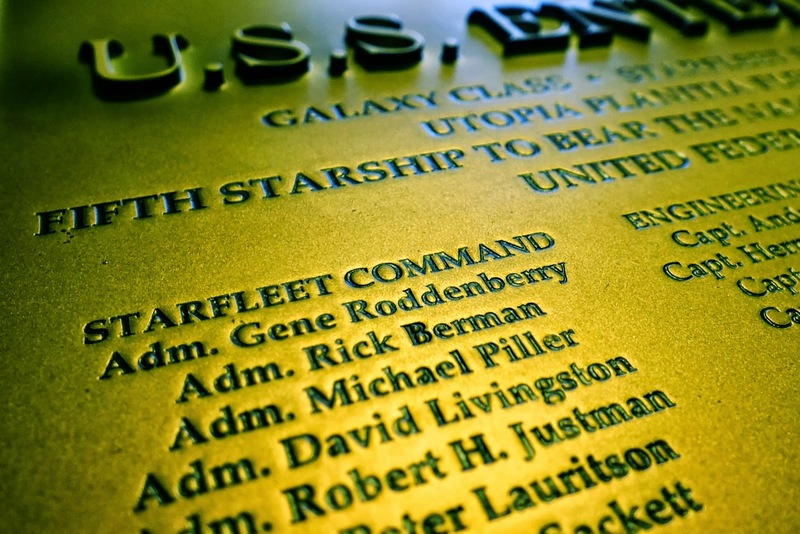 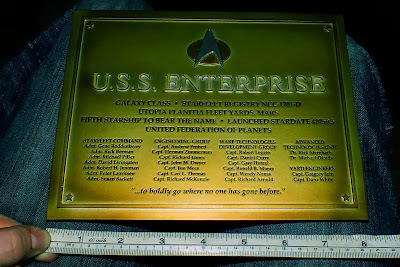 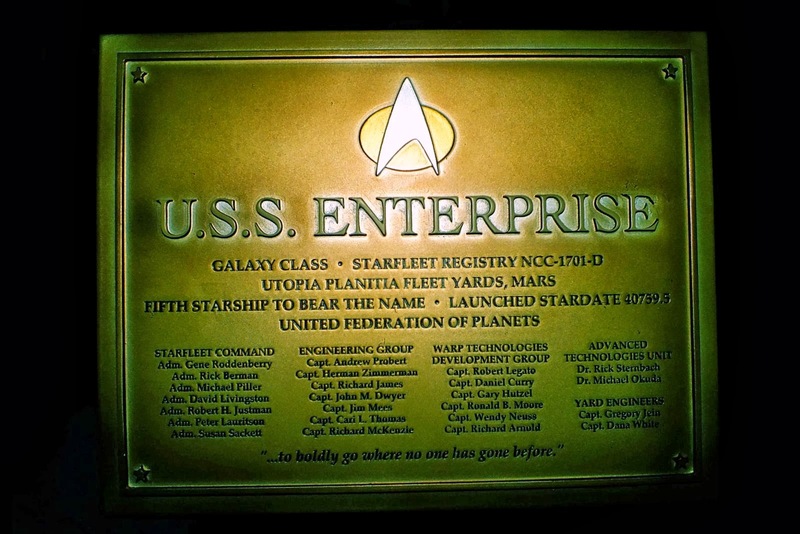 Now obviously, it's not a full size replica plaque, and measures only 8 inches long but has been well made and features the Starfleet logo and words USS Enterprise raised, with the rest of the text slightly engraved in to the plaque. 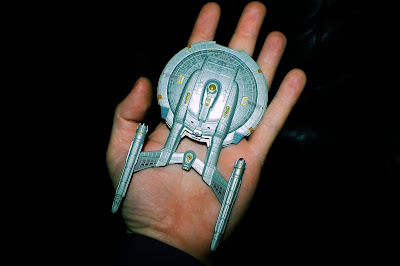 It isn't some cheap plastic item either, and is actually quite heavy for its size. A very nice bonus that will look great alongside the other ships in the collection. Now, as I've said before, the main reason most people are buying this collection are for the models, but each issue also includes a detailed magazine about the ship. 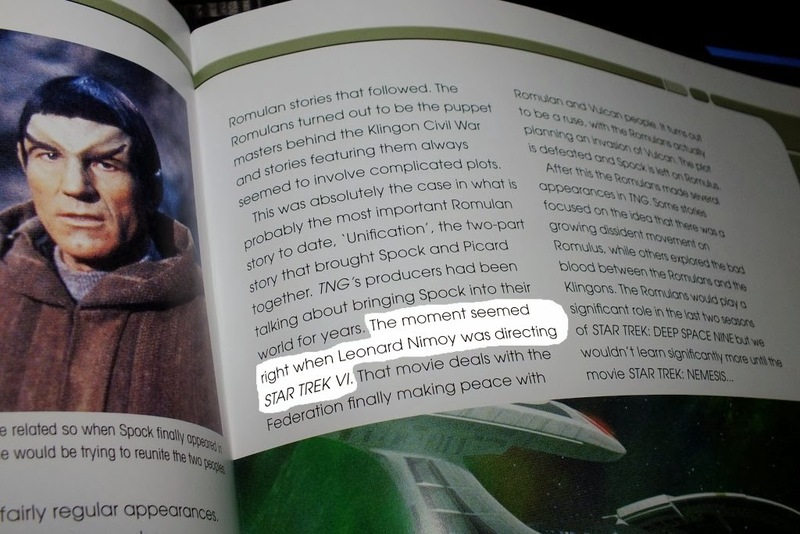 Although interesting to read, many of the pictures featured have been seen elsewhere in other books or publications and I've noticed the odd mistake here and there, but now 5 issues in and I still can't believe that they are still making some silly factual and spelling mistakes! 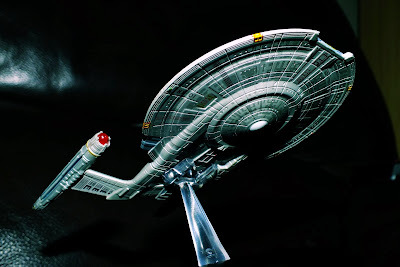 For instance, as shown below "The moment seemed right when Leonard Nimoy was directing Star Trek VI"... Erm, don't you mean Nicholas Meyer? 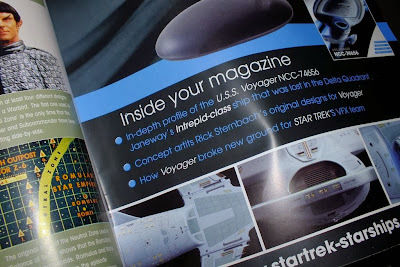 And also, on the back page, advertising the next issue, "Concept artits Rick Sternbach's original designs for Voyager". 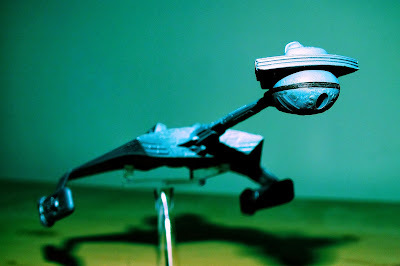 ARTITS??? Hmmmmmm. 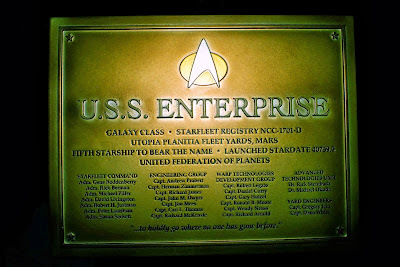 Erm, when did Leonard Nimoy direct Star Trek VI? 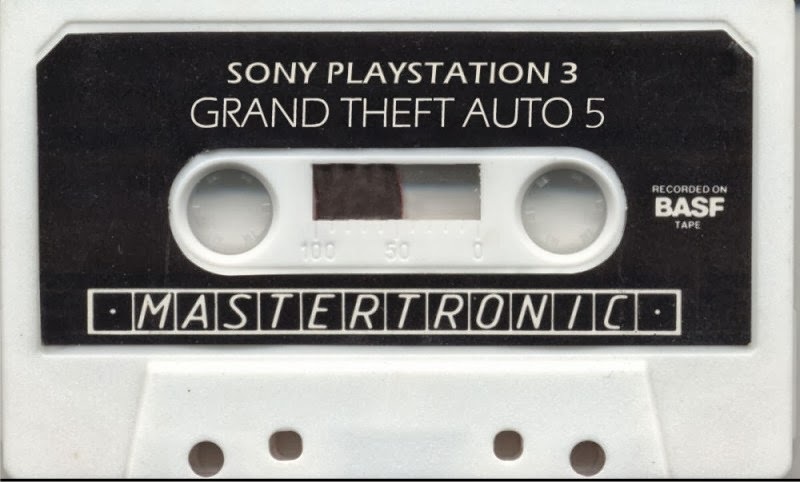 I'm not complaining though. 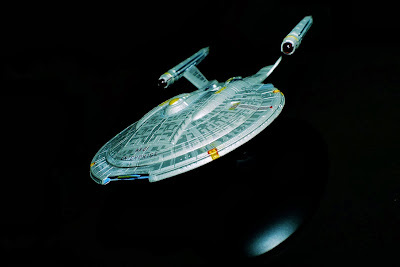 I've been really pleased with every issue so far, and still believe they are well worth the £9.99 each. 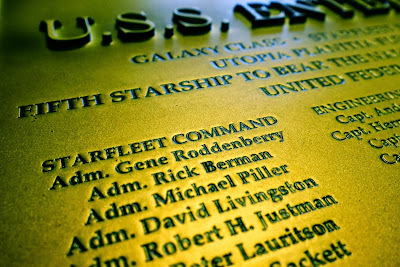 Outstanding!